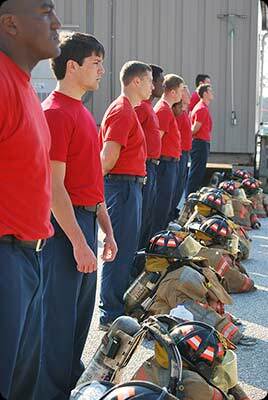 How can you become a Clayton County Fire & Emergency Services Firefighter? First, you need to know more about your career choice and what it takes to get there. Providing the best customer service and professional responses is our goal 24 hours a day. In order for us to deliver the best service, our firefighters are also required to become Georgia licensed Advanced Emergency Medical Technicians. For those who are not already licensed, our EMS Academy will provide this course here at CCFES. Human instinct is to run away from fire. As a firefighter you will be running toward a burning building in search of people needing help. How will you be able to do this? You will have outstanding training, the best personal protective equipment and the knowledge that you are surrounded by experienced and competent firefighters. What kind of emergency are you “fit” to fight? Each and every emergency places physical demands on our responders, from medical emergencies to apartment fires and everything in between. Do not wait to get in shape, start right now. Our physical agility assessment is designed to simulate not only actions you would perform at a fire but also the fatigue you will endure. Our “Firefighters Combat Challenge” course serves as the physical agility test that candidates are expected to complete and our personnel complete annually. To view our list of disqualifiers, Click here. Once these steps are completed, all viable candidate information will be turned over to the Fire Chief and you will be notified if you are chosen for an interview. If we are not currently hiring for Firefighter/Recruit, click here to be placed on a notification list. You will be contacted via email when the application process opens. Clayton County Fire and Emergency Services offers Firefighter Recruit, Advanced EMT, and other training courses to non-employees. To learn about our courses and how to sign up, visit the “Train Here” pages under the Join/Train menu at the top, or click here. HONOR, COURAGE, COMMITMENT,. . . these are the words that guide our actions at Clayton County Fire & Emergency Services. During recruit training you will not only recite them but you will be expected to live by them. 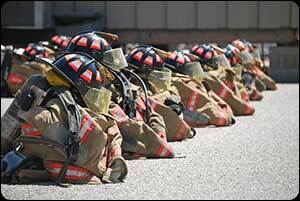 CCFES provides a comprehensive & fast paced Recruit Training School. Our Training Staff use the National Professional Qualifications guidelines and most current training materials to design the demanding coursework that will prepare you for a career in the fire service. Topics covered during recruit school include written and practical applications. What are your first thoughts when you see this picture ?